Ponta´s victory is more than clear. His social-liberal party (USL) reached 58.3%. In the senate, USL could achieve 60% of the votes. In total, USL will have 346 of 452 mandates in the Romanian Lower House. 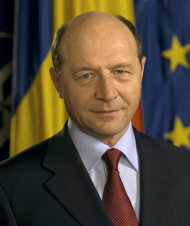 As Ponta is supported by an overwhelming majority of Romanian voters, President Basescu will not be able to prevent Ponta´s re-appointment.